Once or twice a week, apply a thin even layer to a clean wet face, lightly massaging in a circular motion for 30 seconds. Do not scrub. 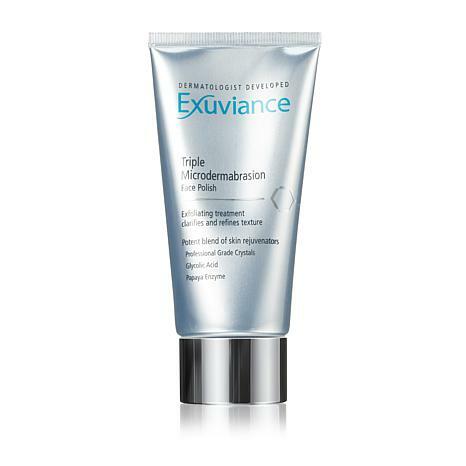 Leave on for up to 2 minutes (up to 1 minute for sensitive skin). Thoroughly rinse with warm water and gently pat dry. Ingredients: Aqua (Water), Glycolic Acid, Alumina, Glycerin, Hydrogenated Polydecene, Isononyl Isononanoate, C12-15 Alkyl Benzoate, Glyceryl Stearate, Ammonium Hydroxide, Arginine, Butylene Glycol, Stearyl Alcohol, Polyacrylate-1 Crosspolymer, PEG-100 Stearate, Lactobionic Acid, Papain, Cetyl Alcohol, Hydroxypropyl Starch Phosphate, PEG-75 Stearate, Dehydroxanthan Gum, Ceteth-20, Steareth-20, Carbomer, Algin, Phenoxyethanol, Caprylyl Glycol, Chlorphenesin, Parfum (Fragrance), CI 19140 (Yellow 5), CI 14700 (Red 4). 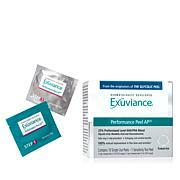 Exuviance is absolutely the best skin care! My skin has never been softer or glowed brighter! Great product!! Not impressed . No change at all.